We realize that this is a bit more US Weekly than Unicorn Booty normally cares to go, but we’re willing to make a special exception considering the subject matter. 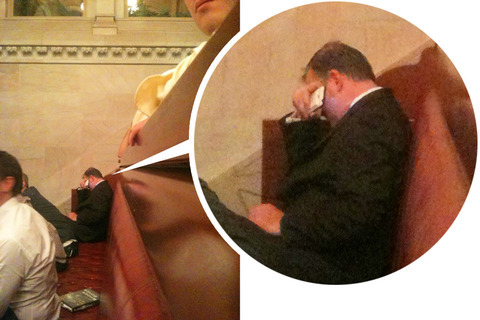 The shot: National Organization for Marriage’s bigot-in-chief, Brian Brown, crying his little eyes out after the New York Senate voted to legalize gay marriage. Pardon us for not feeling for the guy.